The Old Church 0f the Holy Cross went out of regular use in 1875. 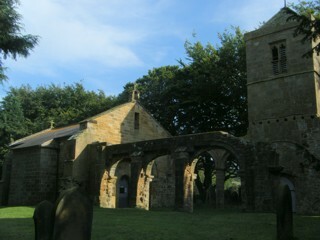 The new church in Swainby, also the Church of the Holy Cross, became the church for the parish in 1877. However, Whorlton church is still consecrated and is used for occasional services. The original churchyard is no longer used for burials as there is a new grave yard just below the old churchyard. The GPR holds 598 grave and 1255 person records for the burial ground. There have been 232 requests for photographs from the burial ground.